Many people wonder why cardinals receive a titular church. It is certainly not so they have a nice Roman vacation spot or anything like that! The tradition has its origins many centuries ago, to the time when the cardinals were chosen from among the clergy of Rome. When they began selecting cardinals from outside the city, they would assign a Roman church to them while they remained in their own dioceses. In a sense, they were made honorary clergy of Rome. This tradition continues today, serving as a symbolic bond with the successor of St. Peter, the Bishop of Rome. A titular church (also known as a titulus) has two meanings – the historical definition and the contemporary definition. These churches were initially chosen from early Christian churches built around the edges of Rome. Called “the tituli“, there were 25 such churches by the end of the fifth century, and three more were added in the 12th century. At present, we have 204 titular churches, although these now include more modern churches as well. Initially, titular churches were ascribed to patrons who usually held or funded the property. In the twelfth century, these churches started being assigned to cardinals. As the number of cardinals began to increase, so did the number of titular churches. Like the patrons early on, the cardinals were responsible for a number of administrative tasks at their assigned church. Of course, this has become nearly impossible with the geographic spread of cardinals, and the position is now strictly honorary. Like Cardinal O’Malley mentioned in his blog post, the tradition has carried on into present times to help symbolically keep ties to Rome, although those rising from the Eastern Catholic rite do not receive a titular church. When a bishop is elevated to the cardinalate, the Pope gives him three things – his red cap, his biretta, and a titular church. The cardinal who is the Dean of the College of Cardinals receives the additional titular position as Bishop of Ostia. A list of titular churches can be found here. As mentioned before, these churches used to have a particular patronage attached to them. These were usually architectural basilicas, since they needed to be large enough to conduct the affairs of entire groups of Christians. 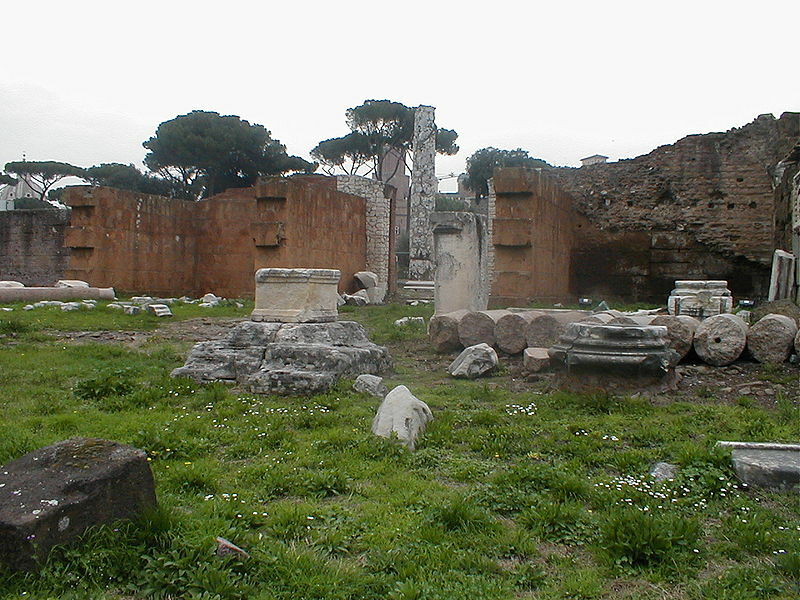 One of the more popular examples is the Basilica Aemilia, named after the Aemilia family, one of the oldest patrician houses in Rome. Many of the current titular churches were built after the twelfth century, like Santa Maria della Vittoria and Santa Maria della Pace. Some, like Santi Aquila e Priscilla, are fairly recent. Want to read more about titular churches? Check out Wikipedia or the Catholic Encyclopedia. Since my visits to Rome on two separate occasions, my understanding of a Tutular church being assigned a Cardinal ensures and authenticates the authority of his “Chair” the Tradition of people to another land – in light of the authority given to the Apostles. It’s a bridge so to speak. Catholic, info, What Is A ...?